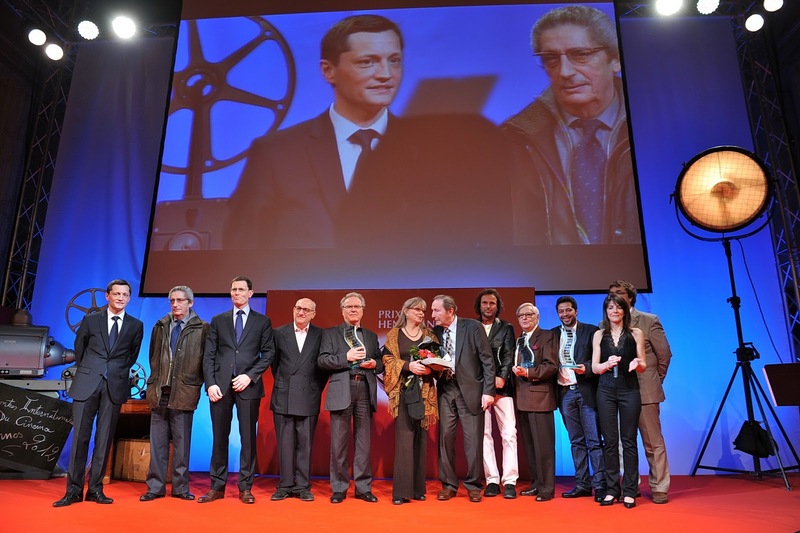 Les Rencontres internationales du cinéma de patrimoine de Vincennes drew to a close today with the awarding of the 7th Annual Prix Henri-Langlois (Henri Langlois Awards) to filmmakers and industry professionals. The Prix Henri-Langlois 2012 d'Honneur (Prize of Honour) was presented to French actress Marina Vlady. She has had a long international career and appeared in films such as Jean Luc-Goddard's 2 ou 3 choses que je sais d'elle (Two or Three Things I Know About Her) and Orson Welles' Chimes at Midnight. She won the Best Actress Award at the Cannes Film Festival in 1963 for her appearance in the Italian film L'ape regina (The Conjugal Bed). For the Trophée Coup de Coeur 2012 de l'association Henri-Langlois (Jury Favourite), there was a tie. 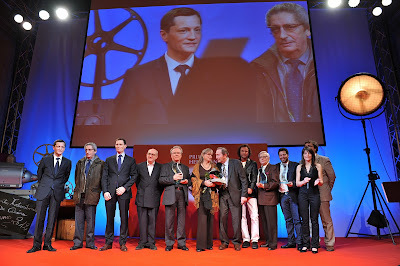 Pierre Schöeller share the award with Bertrand Bonello for their films L'exercice de l'État (The Minister) and L'Apollonide, souvenirs de la maison close (House of Tolerance) respectively. Other winners included animators Joann Sfar and Antoine Delesvaux (Le Chat du rabbin (The Rabbi's Cat)); debut filmmaker Mathieu Demy for Americano; Documentarians Isabelle Clarke and Daniel Costelle; and actresses Hiam Abbas from Palestine/Israel and Fatemeh Motamedaria from Iran. The Henri Langlois awards are given annually to actors, directors, technicians or those in the film industry, who have had or will have an influence on the art of cinema, but also to international institutions that work to preserve film heritage. The awards are named in honour of Henri Langlois, co-founder of the Cinémathèque Française and also the International Federation of Film Archives (FIAF). In addition to being an influence on the French Nouvelle Vague ("New Wave") filmmakers, he received an honourary Academy Award in 1974. Mademoiselle Marina Vlady, actress, for her entire career. Jean Becker, director, for his entire career and for his family's great name in French cinema. Georges Lautner for his entire career. Claude et Michel Carliez, Cascade (Awarded at the opening of the festival).